There are hundreds of new mattress companies entering the market – with lowering manufacturing costs for high-end mattresses, it’s easier than ever to get your hands on a luxury mattress. But with so many options to choose from, it’s important to enter the purchasing process with an open mind and plenty of research. Many mattresses cost hundreds or thousands of dollars, so you don’t want to end up wasting money on such a serious investment. If you’re looking to purchase a mattress that doesn’t use harmful chemicals, there are a few different options on the table. If you didn’t already know, mattresses are typically made with chemicals and other forms of materials that release harmful toxins. While this is bad for you and your family, it’s also bad for the environment when these mattresses are made or thrown away. It’s easy to throw a mattress away, but we need to start thinking about the impact it has on society. Essentia is a mattress company that makes natural and organic mattresses – they’re one of the only companies that offer these unique mattress types. This article is dedicated to reviewing Essentia Mattress. We’ll be taking a deeper look at one of their most popular mattresses, the Tatami. This mattress is made from an organic latex – it also happens to be their cheapest mattress. If you’re considering purchasing this mattress, make sure to have a look at all the information we have here on our site before you make any decisions. Should I Buy the Essentia Mattress? To truly understand the Tatami mattress by Essentia Mattress, it’s important to understand the way that it’s built. A range of different materials and products go into producing the Tatami mattress. You’ll find a range of natural foams – many of which are derived from patented technology. If you’re looking to purchase a mattress that is constructed with your comfort and health in mind, this is a good choice. In this section, we’ll discuss the details of what is used in the construction of the Tatami Mattress from Essentia Mattress. This is the base layer of the mattress. 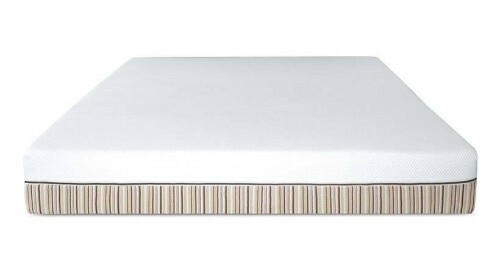 It provides support for the top layer, but also provides comfort as well – it’s also made from a natural foam. You’ll find 7” of Dunlop designed natural latex in this section of the mattress. Without this portion, you’d sink through the mattress when you lay on it. 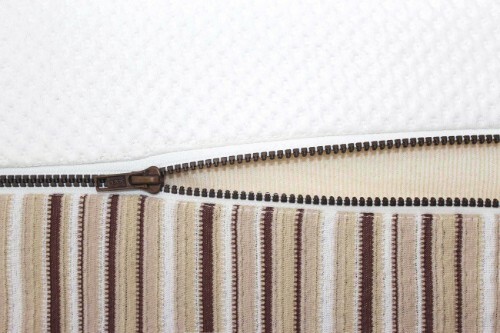 The cover of any mattress is often an overlooked component. Ideally you want a cover that allows the mattress to breathe, provides comfort, and can be removed so you can wash it or clean it. You also want the mattress cover to provide plenty of protection for the rest of the mattress. The Essentia Mattress cover is made from an organic cotton that reduces your exposure to chemicals. It also can be removed to clean or wash very easily, which makes it much easier to maintain your mattress over time. Under this cover, you’ll find a Bucaneve wrap that provides a thin protective liner to reduce friction between the cover and the mattress. This is an additional level of protection. You should always look at the comfort of a mattress when you decide to purchase it – this is the most important part. You don’t want to buy a mattress that you don’t think you can sleep comfortably on – purchasing a new mattress is an opportunity to upgrade your comfort and support. The Tatami Mattress by Essentia Mattress is a comfortable mattress – the memory foam top layer makes it much more comfortable than other traditional mattresses. For foam mattresses, this is a bit more on the firm side – we rate it at around a 7.5-8/10. This means that it might not provide as much pressure relief as other Essentia Mattresses or competitor foam mattresses. This being said, it’s still a great mattress to lie on. This mattress is supportive for people who are slightly overweight, if you’re more than 230 lbs., you might want to find an even firmer mattress. In terms of heat retention, memory foam does tend to retain heat more than coil or spring mattresses. But Essentia uses a breathable cover and other advancements to negate this as much as possible. Essentia is a new mattress brand when compared to some of the stalwarts like Sealy, but they’re not as new as many of the recent entrants to the market. The company’s founder aimed to change the traditional mold of foam mattresses so they would be healthier and better for the environment. In terms of changes, Essentia has expanded their range to include other products and mattress types. 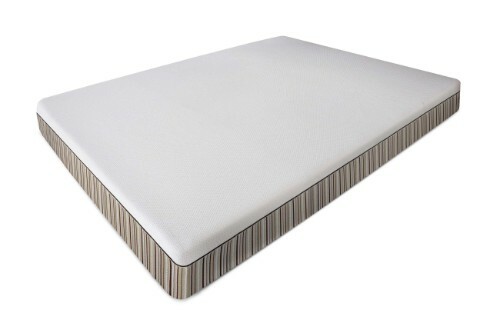 The basic designs of their core mattress offerings have gone unaltered. It’s always important to be aware of the price of the mattress that you’re looking to purchase. You don’t want to waste time with a mattress that you can’t afford. There are plenty of cheap mattresses on the market, so don’t extend your budget if you don’t think you can manage it. The reality is that Essentia mattresses are not as cheap as many of their competitors. A lot of this comes down to the fact that they use organic and natural materials that cost more than traditional foams. If you want a mattress that’s really cheap, this probably isn’t your best option. It’s easy to forget that there’s more to a mattress than how comfortable it is. While the comfort and support of a mattress are the primary attributes you should be looking at when purchasing a new mattress, there are also plenty of other factors that you need to consider. It can be easy to dismiss warning signs from a mattress company – but you should always consider what else they offer before you spend money with a particular manufacturer. Because there are so many mattress companies on the market, there are plenty of different companies aiming to provide their customers with additional features and benefits. These benefits can end up being worth hundreds of dollars, they can also save you a ton of money in the future. If you value that type of company that you work with, it’s important to take a look at every feature. This section of the article will take a deeper look at the additional benefits afforded to you with an Essentia Mattress. We will also overview why these features are so important when you’re deciding to purchase a new mattress. While you might not realize is that materials used to create mattresses are typically extremely harsh and contain a lot of chemicals. The production process typically involves treating mattress foams with harsh chemicals and by-products that can harm you or your family. As previously mentioned, one of the major selling points of the Essentia mattress is the fact that it doesn’t use these harmful chemicals. All their products are made from natural or organic materials that reduce your risk of exposure to ‘off-gassing’ – the process by which chemicals release from the mattress over time. It’s a great feature for those who want to reduce chemical exposure in their households. It also reduces the impact you have on the environment. A mattress’s warranty is one of the most vital components of its value. You want to make sure that you work with a mattress company that also believes in its product. The easiest way to know if a company backs its own mattresses is to look at the warranty they provide their customers. At Essentia, you’ll receive a 20-year warranty with your mattress. If a problem occurs with the mattress because of production issues, you’ll be able to return it completely free of charge – they’ll give you a replacement mattress so you don’t have to purchase a new one. A mattress is a long-term investment, so it’s nice to have a guarantee that you won’t have to purchase a new mattress in the next couple of decades. If you’re going to spend hundreds of dollars on a mattress, make sure it’s covered! Shipping a mattress can be extremely expensive – they’re heavy and they take up a lot of cargo space. If you want to avoid a situation where you spend hundreds of dollars having your mattress delivered, you’ll be pleased to know that Essentia offers free shipping with all of their mattresses. It’s a great way to ensure you don’t end up paying more than you budgeted. Essentia will ship your mattress anywhere in the continental United States or Canada. They’re one of the few mattress companies that also offers free shipping north of the border! If you’re going to purchase a mattress through the internet, you might be wondering how you can ensure it’s the right mattress for you. In the past, you would typically go to a showroom and lie on a mattress before you purchased it. Without this convenience, online mattress companies have come up with a new way to ensure their customers are satisfied. When you purchase the Essentia Mattress, you will have 60 days to return the mattress free of charge. This means you have a round two months to trial the mattress before you decide if you want to keep it. This is a great way to remain confident that you won’t invest in something you’re not happy with. Not all mattress companies offer this, so it’s a great advantage to have. Many modern companies cut costs in a variety of ways to ensure that they can keep their mattress prices low. If you’re someone who values customer service and companies that provide their customers with a lot of resources, you’ll be pleased to know Essentia Mattress lives up to your standards. The company has a great customer service team you can get in contact with if you have any issues. They also have tons of articles about mattresses and the advantages of using natural materials. Their website is an awesome place to get more information if you need it! They even have an online forum that you can use to get advice and information on mattresses and mattress maintenance – it’s a great online community. There’s no point in purchasing a natural mattress if you’re going to purchase sheets and pillows that are full of chemicals. If you’re interested in purchase sheets or pillows that also have natural or organic materials, you can find them on the Essentia website. It’s a great way to ensure you take an all-natural approach to all aspects of your mattress and bedding. There are plenty of reasons to purchase a mattress from Essentia. They use natural products and they reduce the chance you expose yourself to harmful chemicals. The mattresses are also a huge upgrade from traditional foam mattresses, which is a breath of fresh air to many people who have been using spring mattresses in the past. If you’re someone who wants a supportive mattress, this is also a great choice – it’s on the firmer side of mattresses available on the market. There are also plenty of other benefits included in the mattress. The warranty, trial period, free shipping, customer service, and other benefits are great for those who want a good value mattress. The only downside is the mattress is quite expensive. If you want to look at other mattresses, make sure to check out the other mattress reviews on this site. 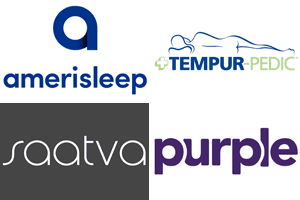 We have tons of reviews of different mattresses and sleeping products!